Railroad watches were once vital to railway systems, necessary to keep trains running on time and safely. Used by key personnel of the railroads like conductors and engineers, railroad watches were made according to strict standards laid down by the railway operators. Today it is hard to imagine how crucial railroad watches once were, but the reliability of these timekeepers were a matter of life and death. In fact, railroad watches were important enough that railway companies had watch inspectors, as well as rules prohibiting railway employees from setting or regulating watches themselves. The best known railroad watches are the pocket watches made by American companies like Ball, Elgin and Hamilton for domestic railway companies starting in the mid 19th century – these are amongst the finest mass produced pocket watches ever made. But railroad watches were used by railway companies all over the world, with wristwatches succeeding railroad pocket watches in the 20th century. 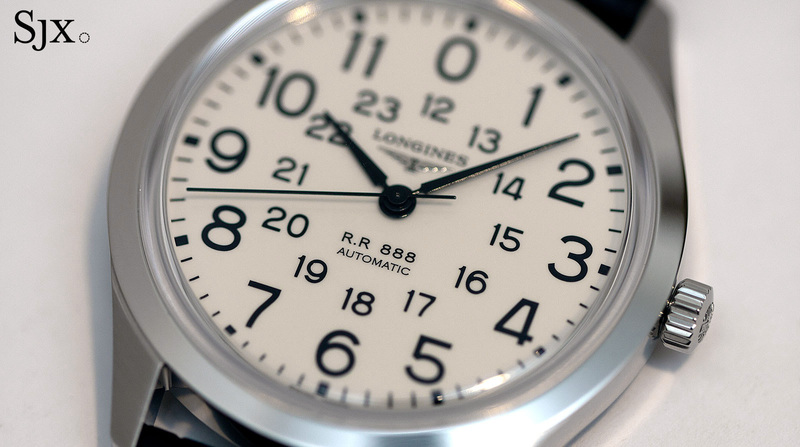 In the 1960s Longines supplied the R.R 280 chronometer to railway companies around the world, with railway personnel in places as diverse as China, the United States, Italy, Canada, Romania and Persia all sporting the same precision wristwatch. With quartz watches and centralised traffic control on railways, expensive and precise railroad watches are irrelevant. 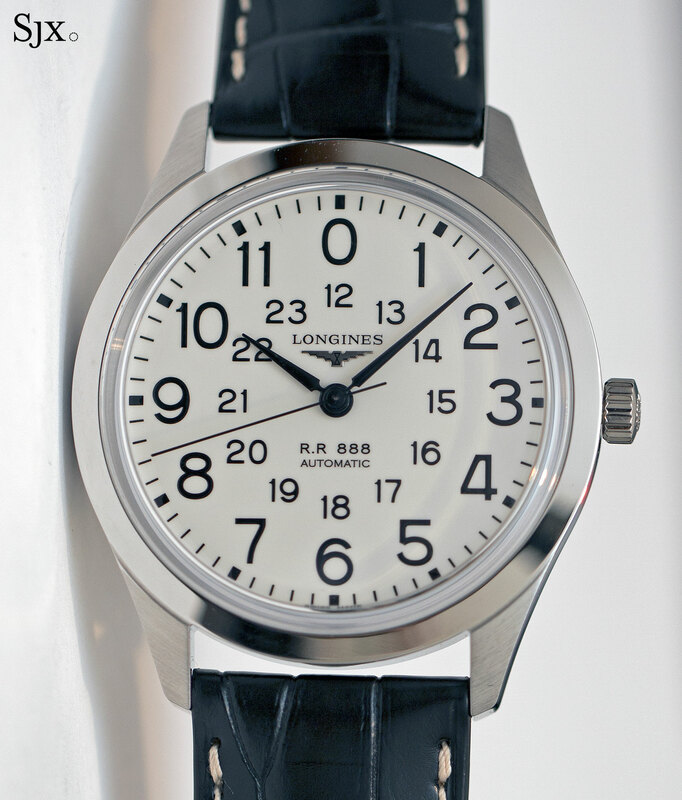 But the Longines RailRoad (ref. L2.803.4.23.0/3) is true to the spirit of railroad timekeeping, being a legible, reliable, mass produced timepiece at an affordable price. 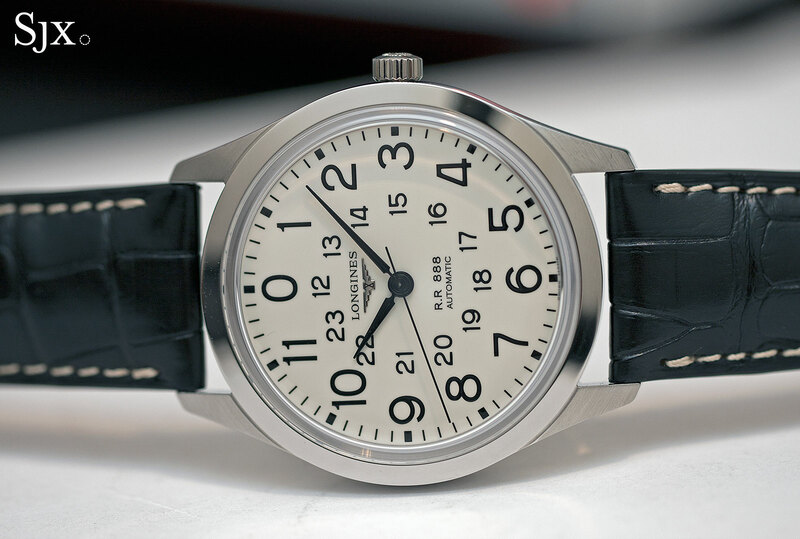 The design of the RailRoad remake is practically identical to the original, with an ivory dial sporting oversized Arabic numbers for the hours, as well as an inner 24-hour track. Lance-shaped hands do a splendid job of telling the time without a fuss, with the only superfluous markings on the dial being the logo and lettering at six o’clock. “R.R 888” is a nod to the 1960s original, which was marked “R.R 280” since it was equipped with the calibre 280. 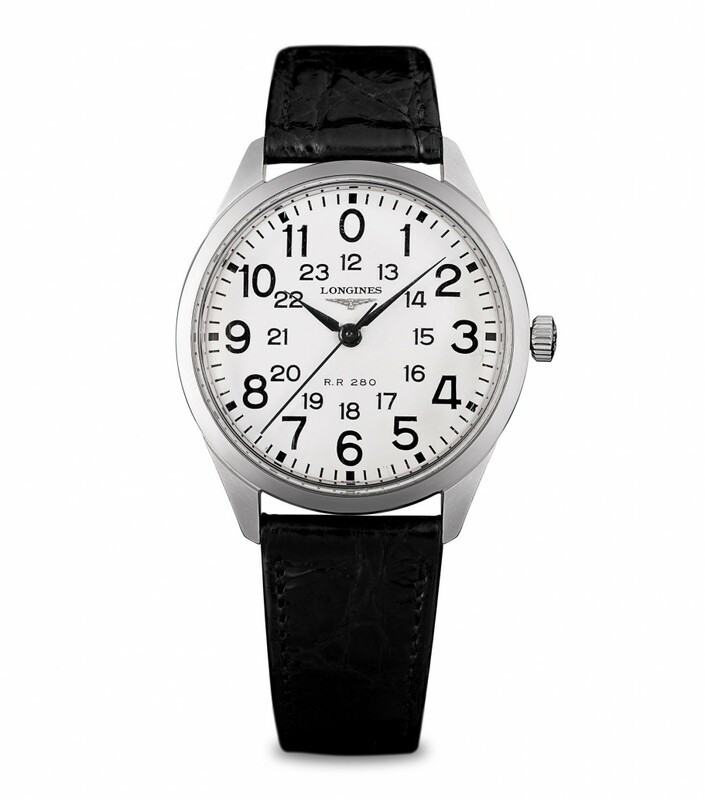 The calibre L888.2 inside the RailRoad remake is an ETA A31.L01, the type of movement that would be found in a modern day railroad watch if trains still ran on mechanical time. It’s an upgraded version of the robust ETA 2892, made only for Longines and other brands in the Swatch Group, the watchmaking conglomerate that owns movement maker ETA. One of the key improvements is the extended power reserve: while the ordinary ETA 2892 has a shortish 42-hour power reserve, the upgraded version used by Longines will run for at least 64 hours. At 40 mm in diameter the RailRoad is slightly larger than the 35 mm original, but still modestly sized by modern standards, making it an easy watch to wear under a cuff. 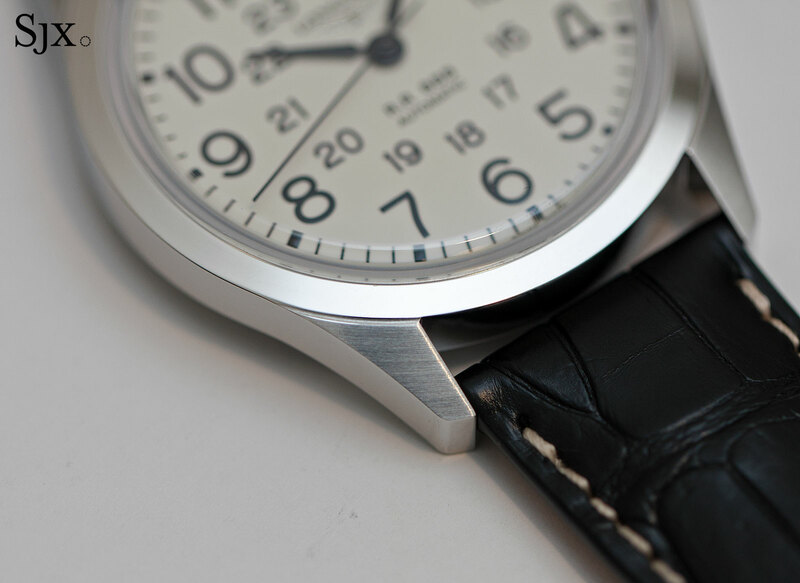 While the size and form give it the feel of a dress watch, the look is overtly functional. 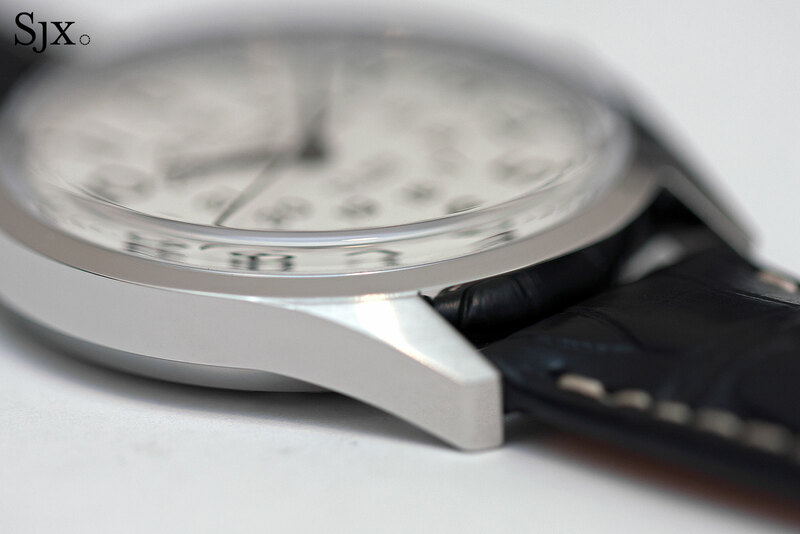 The case has a brushed finish, while the bezel is mirror polished – nothing fancy but it suits the style. A more compelling detail is the domed sapphire crystal that approximates the look of the mineral crystal of the original, but with the convenience of being scratch-resistant. Being relatively expensive to produce, domed or box-shaped sapphire crystals are rarely found on watches in this price range, though they are becoming more common as sapphire cutting technology improves. 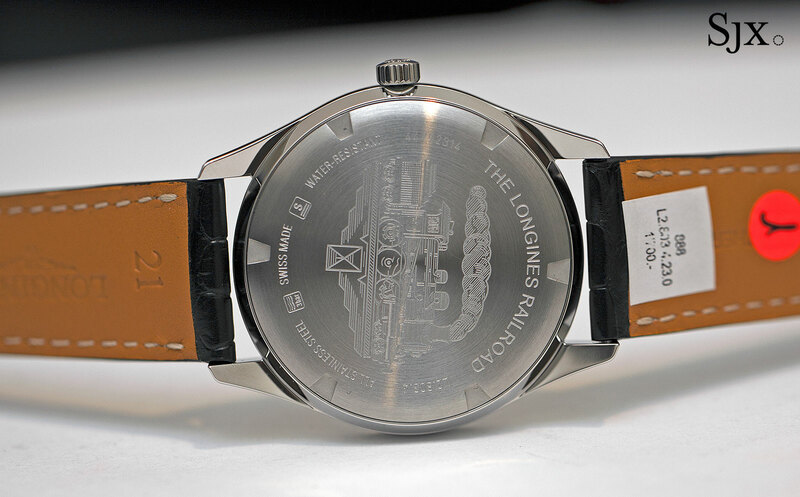 The case back is the only ornamental part of the watch, featuring an engraving depicting a speeding locomotive over the Longines logo. But it is hidden on the back, leaving the watch looking as functional as its historical inspiration. 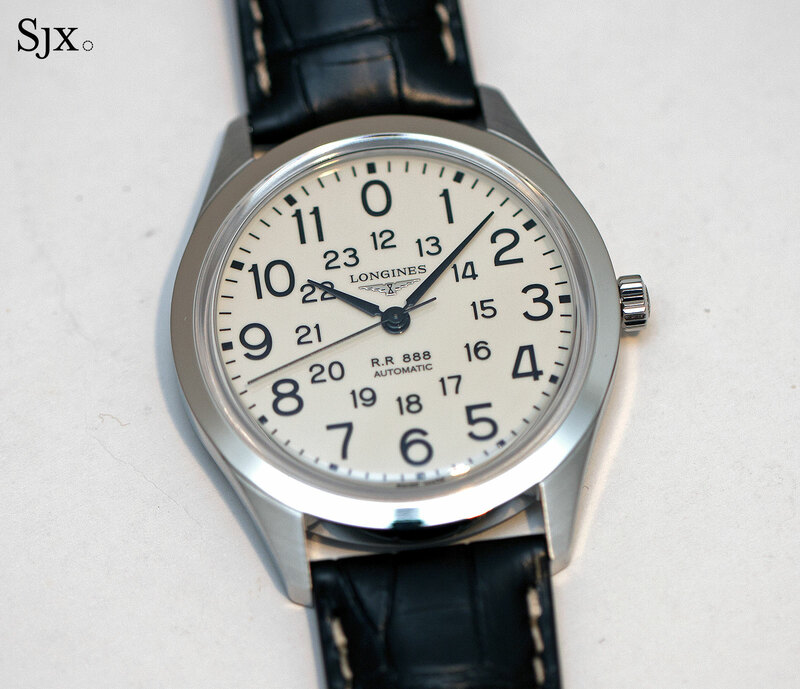 Available starting summer 2016, the Longines RailRoad (ref. L2.803.4.23.0/3) is priced at a reasonable SFr1700 or S$2700. That’s equivalent to US$1760. Modelled on the precision timepieces made for railroad engineers, the new RailRoad wristwatch is faithful to the original and affordable - and has no date function. Details below, including pricing.